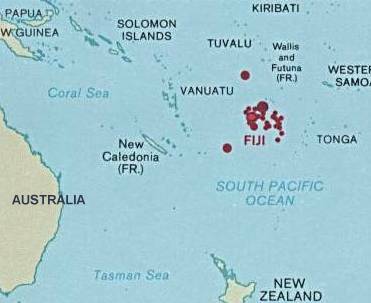 The term for the beaten cloth in Fiji is masi. The method for making masi is basically the same as in Tonga where it is prepared using a process of soaking and beating the inner bast of the paper mulberry (Broussonetia papyrifera) is followed by pasting the pounded sheets together for length and strength. In the past, men commonly wore a malo or masi, which is a strip of plain white bark cloth wound around the waist and between the legs, with a train billowing behind. The longer the length of the train, the greater the chiefly status. For women, everyday clothing was a skirt called a liku. Masi is considered nearly obsolete for traditional dress since its replacement by western style clothing and textiles. 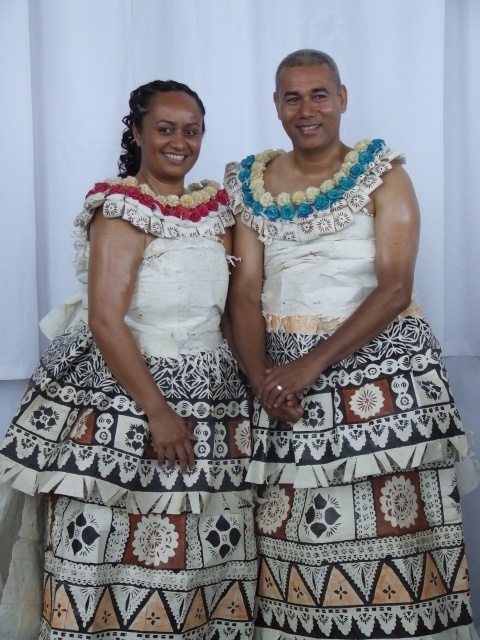 Traditional dress styles using masi are not worn as everyday wear but they are still used for dances and important ceremonies like the installation of a chief, or special family occasions. Ceremonial masi on the occasions of funerals, weddings, and chiefly ceremonies is ongoing. The bride and groom will be wrapped in long pieces of masi, in the customary fashion, and similar coverings would be worn when chiefs are installed. There is great honor associated with masi and it is a symbol of wealth. Gifts of masi are given in extravagance for marriages. It is a source of pride for the whole village to produce this exchange of wealth. Masi is very significant at death and is presented as a gift when someone dies. There is spiritual power associated with masi, as it was “recognized as having ability to carry the strength of the gods” (Fulmer, 1998). There is a variety of techniques used in Fiji to decorate the masi. They range from freehand painting with pandanus brushes as in Samoa, to Fijian rollers and stencils, to the design tablets of Tongan influence. 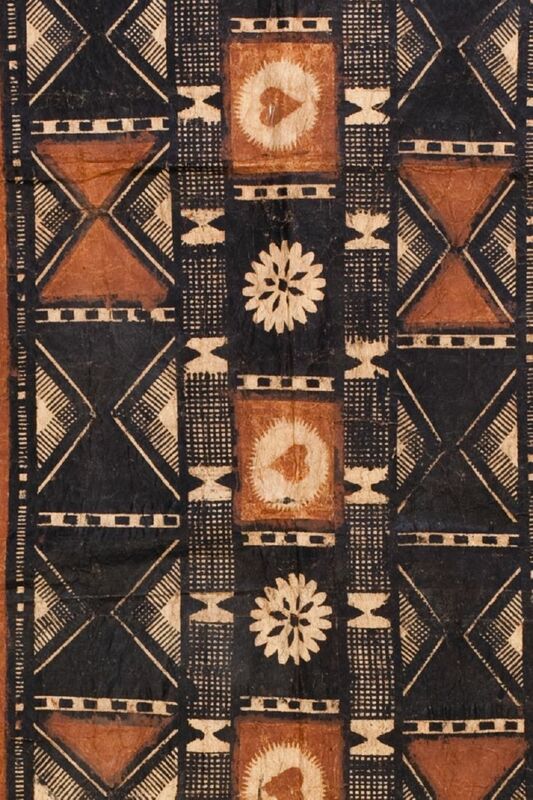 The finished lengths of masi decorated using rubbing tablets with midrib patterns are known as gatu vakatoga, translated as “Tongan cloth made in the Tongan way.” Gatu vakaviti is a combination of the Tongan rubbing method and the Fijian stencil application method. 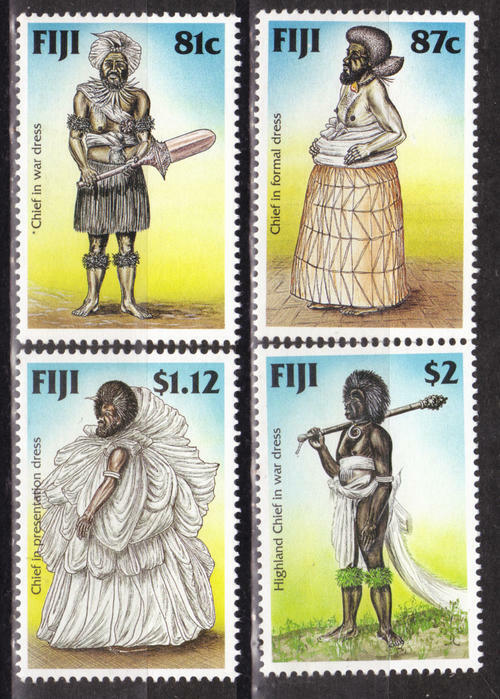 Gatu vakaviti literally means, “Tongan cloth in the style of Fiji” (Neich & Pendergrast, 1997).